ION GNSS, Florida – Averna, a global Test & Quality Solutions provider, announced that through existing partnerships, real-time GNSS simulation and SATCOM signal generator toolkits will be available for the RP-6500 RF Record and Playback platform, making the RP-6500 an all-in-one solution to support advanced satellite navigation applications. The robust system fits into a car trunk for driving/recording applications, and syncs with both a GPS and Averna’s DriveView software, for synchronized location and video capture that is time-aligned with your data. Preloaded with RF Studio, powerful RF record/playback software for capturing real-world RF spectrum, including GNSS, radio, video & location data. 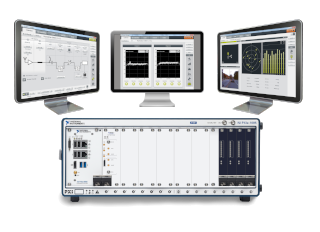 A state-of-the-art workflow tool, the RP-6500 Series lets you quickly set up your recordings, add contextual data, visualize weak signals, and analyze your collected RF environments to validate and fine-tune your designs and products.